The film, Titanic became the first to gross over $1 billion worldwide. 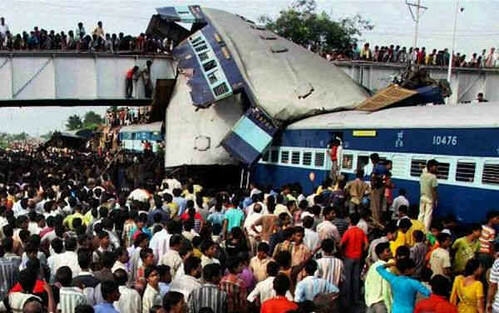 At least 150 people were feared killed and 250 injured in a train accident between Kaudi and Daudpur villages near Khanna railway station on the Khanna-Ludhiana section of the Northern Railway in Punjab, a couple of hours before dawn today. The accident occurred at about 0315 hours IST when the Calcutta-bound 3152-down Jammu Tawi-Sealdah Express rammed into 10 derailed coaches of the Amritsar-bound 2903-up Frontier Mail (recently renamed the Golden Temple Express). Ten coaches of the Frontier Mail got decoupled from the train and derailed, six of them falling onto a parallel track where they were hit by the oncoming Sealdah Express even as passengers were alighting from the other four coaches. Northern Railway General Manager V K Mehta said there was “a gap of just one minute” between the Frontier Mail coaches getting derailed and the Sealdah Express ramming into them. Driver Subhash Chander and co-driver Sewa Ram Murti of the Sealdah Express were among those killed. Railway and police officers said 101 bodies had been extricated, but feared that at least 50 more could be trapped in the wreckage.The extricated bodies were removed to A S College at Khanna. The deputy commissioner of Ludhiana district has permitted relatives of the victims to take the bodies away for last rites without post-mortems. The injured have been admitted to the Post-Graduate Institute in Chandigarh, Rajendra Medical College Hospital in Patiala, Dayanand Medical College and Christian Medical College hospitals in Ludhiana, and the civil hospitals in Ludhiana, Samarala, Khanna, Doraha, Mandi Gobindgarh, and Sirhind. Railway Minister Nitish Kumar, who visited the site, said it was yet to be ascertained if decoupling had led to derailment or vice-versa.He said the toll could go up as some of the injured passengers are in a critical condition, with multiple head and chest injuries.The commissioner of railway safety has been asked to ascertain the cause of the accident. Kumar declined to speculate on the possibility of sabotage, saying this would be known only after the inquiry. But Punjab Director General of Police P C Dogra ruled out sabotage. He said preliminary investigations had revealed that the accident was caused by a mechanical failure. The accident occurred on the electrified track in Ambala division, but both trains were being hauled by diesel engines. All 229 people on board are killed when Swissair Flight 111 crashes in Nova Scotia. Scores of bodies and bits of debris were recovered from choppy seas off Nova Scotia as officials sought to determine why a Swissair jetliner bound from New York to Geneva fell into the Atlantic minutes short of an emergency landing in Halifax, apparently killing all 229 people on board. As Canadian naval vessels and a flotilla of fishermen searched the crash site five miles off a picturesque village called Peggy’s Cove on Nova Scotia’s southeastern shore, it seemed unlikely that any survivors would be found, though all hope was not abandoned. Many of the victims’ grieving families gathered in New York and Geneva, and some were flown to Nova Scotia. Investigators said that, although the cause of the crash was still a mystery and might not be learned for weeks or months, there were no indications that the wide-bodied jet, a McDonnell-Douglas MD-11, had been brought down by an act of criminality or terrorism. 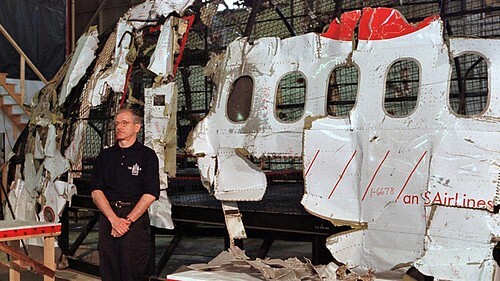 Searchers, who retrieved about 60 bodies, as well as body parts and debris that included clothing, baggage and seat cushions, said that searchers in the afternoon had spotted what seemed to be a large piece of the aircraft intact perhaps the fuselage, containing many of the victims and the flight data recorders in about 120 feet of water. Thus, unlike Trans World Airlines Flight 800, which blew up without warning in the sky off the South Shore of Long Island two years ago, with a loss of 230 lives, Swissair Flight 111 apparently did not explode, investigators said, but ran into trouble about 15 minutes before it crashed and did not break up until it hit the water. The pilot, identified by Swissair officials as Urs Zimmermann, 50, aided by the co-pilot, Stefan Low, 36, turned again toward Halifax and flew on for 11 minutes, gradually descending to 9,600 feet, according to radar tracking data. During that time, the passengers and crew were told of the emergency and put on life jackets, which rescuers said they later found on some bodies. The final show of television series, Seinfeld airs on NBC. On May 14, 1998, approximately 76 million people tuned in to see how the show “about nothing” would execute its farewell. Co-creator Larry David, who’d left the show after season 7, returned to write the finale, and NBC’s hype machine was running full throttle. Would Elaine and Jerry get hitched? Would Newman be killed in some delightfully ghastly accident? Of course, what actually happened was Jerry and George finally got their TV deal, but before they could celebrate with Elaine and Kramer in Paris, the four of them were arrested in Latham, Mass., for failing to help a man being car-jacked. A media circus descended on their trial, where they were found guilty and sentenced to a year in jail—essentially for being horrible people. All the fringe characters they’d ever wronged during nine seasons of TV—from Marla the Virgin to library cop Joe Bookman—testified against them. The penultimate scene was of the four guilty losers discussing the buttons on George’s shirt—a throwback to the show’s first episode. Viagra is approved by the FDA for a treatment for male impotence. Viagra can start working within 15 minutes. It’s a popular treatment for ED issues because it has been scientifically proven to help approximately 80% of men experiencing sexual difficulty. It was the first FDA-approved treatment for erectile dysfunction problems and it has a long history of success. 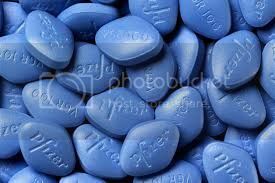 Clinical trials from around the world have shown that Viagra is an effective treatment for erectile dysfunction issues. Each dose lasts up to four hours and some men can get multiple erections from a single dose. Typically, Viagra is covered by most health insurance plans. The portrait of the ‘Artist Without Beard’ by Vincent van Gogh sells at auction for US$71.5 million. The last self portrait of the famous artist Vincent van Gogh, titled “Portrait de l’artiste sans barbe ” or “Portrait of the Artist Without Beard ” sold at an auction in New York for US $71.5 million, making it one of the most expensive paintings of all time. The Dutch artist painted the 1889 self-portrait after he had shaved and gifted the painting to his mother for her 70th birthday, not long before he committed suicide in 1890. In 1998, the Van Gogh painting was one of 10 paintings put up for auction by the heirs of Jacques Koerfer, a German-born collector and the former chairman of the BMW who had died in 1991. The highest bid for the painting reached, almost three times its high estimate at $71.5 million. The buyer remains anonymous even today. Nineteen European nations agree that human cloning should be banned. North Korea reportedly launches its first satellite (Kwangmy?ngs?ng-1).